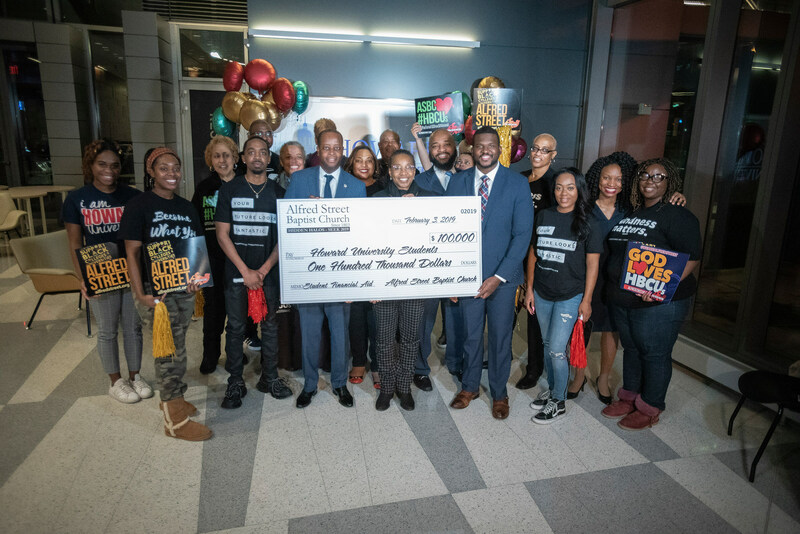 Howard University President Wayne A. I. Frederick accepts a check totaling $100,000 from members of the Alfred Street Baptist Church. The donation will help pay off the balances of 34 graduating seniors. Rev. 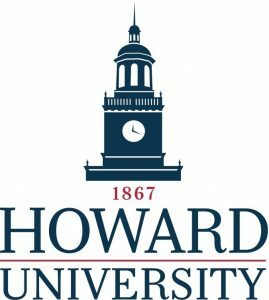 Dr. Howard-John Wesley, pastor of Alfred Street Baptist Church (ASBC) in Alexandria, Va., presented Howard University with a $100,000 gift to cover the outstanding tuition and fee balances of 34 graduating seniors. Wesley announced the contribution during a special service at Andrew Rankin Memorial Chapel. Ministers and staff of ASBC joined the Office of Financial Aid to surprise and present unexpecting seniors with the good news earlier in the week.